Jaguar Land Rover Special Vehicle Operations (SVO) today announces the most powerful, agile and extreme performance Jaguar: the new XE SV Project 8. 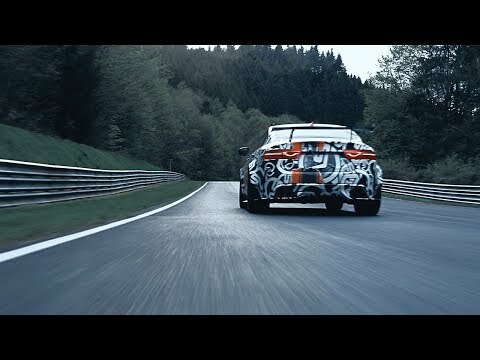 A prototype version of the 600PS Jaguar sports sedan offering supercar performance has now undertaken its debut test at the gruelling Nürburgring Nordschleife, adorned with an exclusive camouflage created by SVO Design. John Edwards, Managing Director of Jaguar Land Rover Special Operations "The time is right for SVO to produce the most extreme performance road car in the history of Jaguar. The SVO team is possessed by the spirit of performance and committed to creating the most thrilling driving experience imaginable. Our clients worldwide were thrilled by the F-TYPE Project 7. The new XE SV Project 8 takes aerodynamics and performance engineering to another level – it is conceived for enthusiasts and the most discerning collectors. The price for such an extreme performance sports car available in strictly limited numbers will reflect that." Full specification details for Jaguar XE SV Project 8 will be revealed at on 28 June 2017, ahead of its world dynamic debut at Goodwood Festival of Speed in West Sussex in the UK on 30 June.